Comprehensive Women’s Health Partners is the premier provider of Women’s health services in Mahoning, Columbiana, and Stark Counties. Our unique and comprehensive methodology to women’s pelvic health involves taking a holistic approach to treatment. All of the treatments and therapies we offer are consistent with the guidelines published by the American College of Gynecology and the American Board of Urology as well as the Society of Urodynamics and Female Urology—based on proven science—in order to provide women with safe and effective care in order to restore their body and improve their lives. We are ready to accept your phone calls TODAY to begin scheduling patients for Dr. Patel! New patients and patients interested in transferring are all accepted! We encourage you to call us soon, as we expect her schedule to fill up just as quickly as Stephanie’s has. We look forward to hearing from you. We are thrilled beyond measure to announce that Comprehensive Women’s Health Partners will be the new home for Dr. Priya Patel! 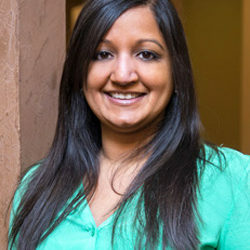 After graduating from Canfield High School, Dr. Patel completed her undergraduate studies at Emory University in Atlanta and then went on to graduate from the Loyola University Stritch School of Medicine in Chicago. She then completed her Ob/Gyn residency at the University of Cincinnati Medical Center. These outstanding credentials and exceptional training, along with her kind and compassionate care, have allowed her to build a thriving practice in Canfield over the past three years. Starting in December, she will be seeing patients for CWHP at both our Salem and Canfield locations. It is a pleasure to introduce Stephanie Mathews, who will be a vital part of Comprehensive Women’s Health Partners! Stephanie became involved in medical missions work when she was young, and this is when she found her calling to become a health care provider. She earned her Bachelor’s degree in Biology/Chemistry from YSU and began work as a Surgical Technician at Robinson Memorial Hospital. While working there, she earned her Bachelor’s in Nursing from YSU. Her journey then took her to St. Elizabeth High Risk Labor & Delivery unit. Simultaneously, she also worked at Mahoning Valley Birth Center providing care for those who wished to deliver with minimal intervention. 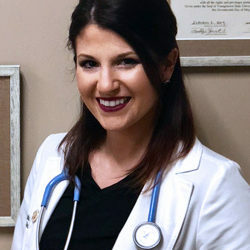 During that time, she continued to follow her dream to become a provider and enrolled in Kent State University’s Women’s Health Nurse Practitioner Program, where she earned her degree in 2017. Contact us today to schedule a convenient appointment with Dr. Priya Patel or Stephanie Mathews, WNHP.